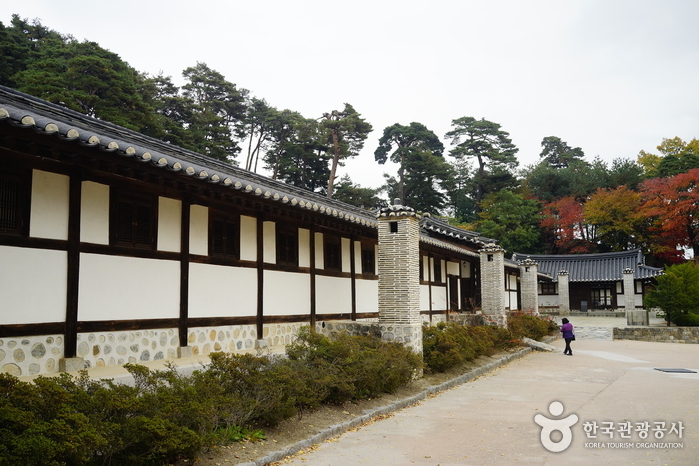 Seongyojang is the former upper class residence of the Naebeon Lee (1703-1781) noble family of Gangneung-si, Gangwon-do. It was designated Important Folklore Material No. 5 in 1967. The meaning of “Seon”, in Seongyojang, is a boat. Gyeongpo Lake was directly in front of Seongyojang at the time it was built, thus making is accessible by boat. It is said that 10 generations of descendants of Naebeon Lee have continued to live at Seongyojang. The house is, in fact, one of the top 10 most well preserved original dwellings in Korea that was constructed over the past 300 years. 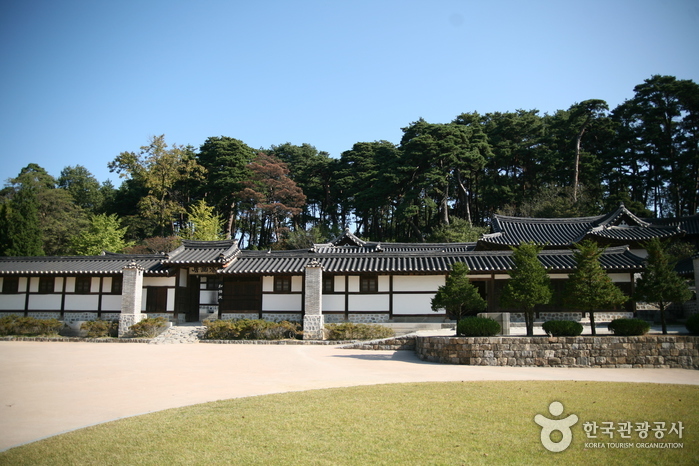 Yeolhwadang is considered the most important structure on the property, as the male owner of the property resided in this building. 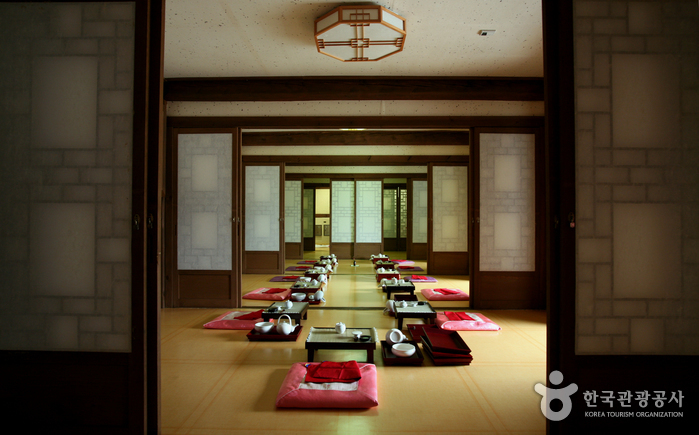 This structure was given the name “Yeolhwadang” in order to promote happiness and joy among the relatives living there. Another important structure here is the picturesque Hwallaejeong. This structure was built in 1816 and is located just inside the main entrance. The lotus flower filled pond just in front of this building makes for a setting just as one might see in a traditional Korean painting.